Award winning Chilean wine brand Santa Rita have expanded their 120 range by adding Cabernet Franc to their line-up. The ‘120’ range, named after the historic event in which 120 soldiers took refuge in Santa Rita’s cellars in 1814 during Chile’s war for independence, is Santa Rita’s most successful wine brand in terms of both volume and value. The Santa Rita 120 Cabernet Franc is made from grapes grown in the coastal Pumanque region within the Colchagua Valley and comprises 85% Cabernet Franc and 15% Cabernet Sauvignon. The vineyards at Pumanque are planted with grafted rootstocks specifically cultivated within the Santa Rita nurseries as part of their sustainability programme. These rootstocks have been developed to adapt to prolonged periods of dry weather and water shortages, an inherent issue in Chile and one that is not predicted to improve in the foreseeable future. The grapes are all hand-picked and after a five day cold maceration the wines are then fermented in stainless steel tanks at 26 – 28°C. French oak is used to add complexity with 20% of the wines being aged in wood for four months. The resulting wine is a deep purple-red colour with luscious fruits of the forest aromas on the nose and berries, spice, vanilla and coffee flavours on the palate. Priced at £7.49 the wine is available in Majestic. Pumanque is one of the new wine producing areas to receive an official Denomination of Origin designation in the modification to law 464 published in Santiago on 29th September 2012. Changes in climatic conditions and continued technologic innovation in water supplies have resulted in the expansion of vineyard plantings in Chile into areas that had previously been unsuitable for intensive agriculture. Amendments to law 464 have been made in recognition of both the high quality and distinctive characteristics of wines being produced in very specific regions. See Notes to Editor below for full list of new recognised DO’s. Santa Rita wines are part of the Santa Rita Estates portfolio.  Santa Rita Estates (SRE), also known as the Claro Wine Group, comprises four wine brands from Chile: Santa Rita, Carmen, Nativa , Terra Andina and Doña Paula from Argentina.  The Claro Wine Group is a fully owned subsidiary of the Claro Group operating out of Santiago, Chile. The team of winemakers and viticulturalists working for Santa Rita Estates are dedicated to producing the best quality wines Chile and Argentina can offer from a diverse range of terroirs. Each of the brands has their own unique identity and wine style. Sustainability is top of the agenda in every part of the wine making process, from the vineyards to the final distribution and Santa Rita Estates have a fully integrated environmental and commercial sustainability programme in place. Subregión Valle del Maule/zona Valle del Loncomilla Areas- Colbún, Longavi,Retiro. Andes: Vicuña, Paihuano, Monte Patria, Río Hurtado, Salamanca, Illapel, Santa María, Calle Larga, San Esteban, Santiago, Pirque, Puente alto, Buin, Requinoa. Rengo, Machalí, San Fernando, Chimbarongo, Romeral, Molina, San Clemente and Colbún. Entre Cordilleras: Punitaqui, Hijuelas, Panquehue, Cartemu, Llay Llay, San Felipe, Isla de Maipo, Talagante, Melipilla, Alhué, María Pinto, Colina, Calera de Tango, Ti-Til, Lampa, Rancagua, Peumo, Coltauco, Nancagua,, Santa Cruz, Palmilla, Peralillo, Marchigue, La Estrella, Rauco,Sagrada Familia, Talca, Pencahue, San Rafael, San Javier, Villa Alegre, Parral, Retiro, Linares. Longaví, Cauquenes, Cillán, Quillón,Yumbel, Mulchén y Traiguén. Costa: La Serena, Ovalle, Zapallar, Quillota, San Juan, Santo Domingo, Cartagena, Algarrobo, Valle del Marga Marga, Lo Lol, Litueche, Paredones, Pumanque, Vichuquén, Empedrado, Curepto, Portezuelo y Coelemu.